In case you didn't know already, the fictional poker-like game that the Serenity Crew from Firefly used to keep themselves amused is an actual game. So in the spirit of that, here's 12 awesome card and board games from across Sci-Fi and Fantasy that we'd love to get real versions of too. Err What, I hear you cry. You can already play Hearthstone! Yes, Blizzard's annoyingly addictive card game set in the Warcraft universe might already be a video game in our world, but there's a physical version of it that denizens of Azeroth play as well, and who wouldn't love some ornate Hearthstone cards of their own to play with? 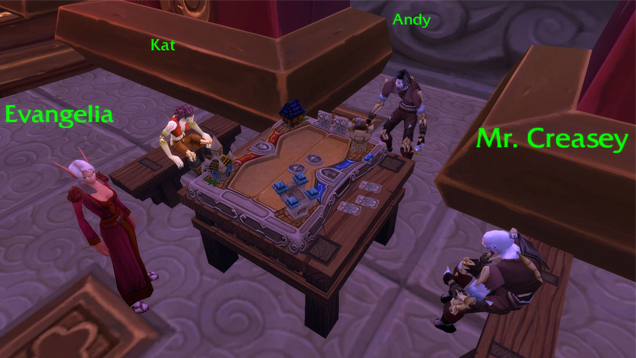 The 'real' Hearthstone and its players were added to World of Warcraft with patch 5.4, and the latest expansion, Warlords of Draenor, is adding multiple vanity items to the game so your own characters can pretend to play it in between thwacking monsters in the face. So in a round about way, a real-world video game has become a fictional card game in another video game, and hopefully one day that will become a real card game in our world. I think I got that right. 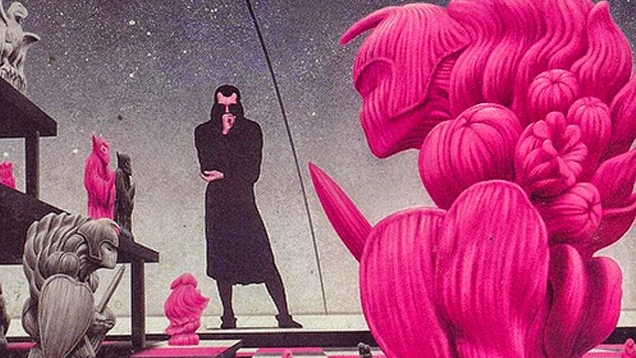 A running theme amongst games that show up in sci-fi and fantasy is that basically, if they're not a card game (which is usually 'fancy poker'), they're usually 'fancy chess'. Take Tadek for instance, the favoured past time of Rygel, which involved moving around clear gem-like piecess around a chequered board in stacks as they lit up. Very pretty indeed. Tadek centred around a player's ability to bluff their opponent as much as it did actual strategy, so essentially just like real chess. But this one lights up! 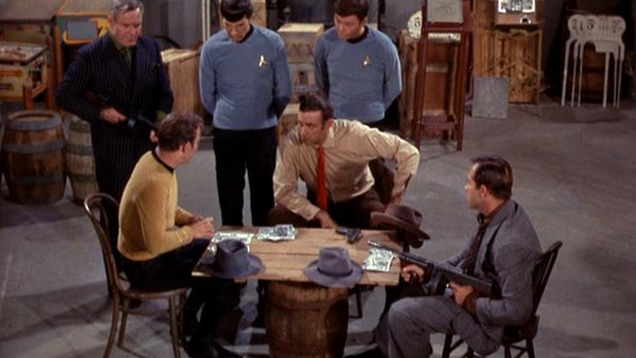 Star Trek might just be the motherlode of fictional games - from 3D Chess to Kadis-Kot to Kal-Toh in the header image, to that space-snakes-and-ladders from the worst episode of DS9 and even the ultimate gaming platform, the Holodeck, the Trek universe is filled with oodles of games. That said, Fizzbin definitely has to be the one I'd love to see in the real world. 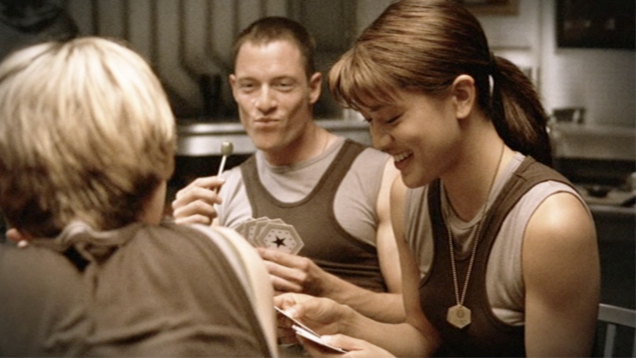 Made up virtually on the spot by Kirk in A Piece Of The Action, Fizzbin was meant to come from Beta Antares IV and could be played with standard Earth playing cards. It was essentially poker with a bunch of weird names for hands and cards, but what's most interesting about it is that in Deep Space Nine, Quark offers to teach the game to Odo, over a hundred years after the events of that TOS episode. So at some point after the Enterprise's five year mission ended, Kirk remembered Fizzbin, made some rules for it and marketed the damn thing. Who doesn't want to play a card game coming from the awesome, slightly crazed mind of James T. Kirk? Oh, the citizens of the Twelve Colonies and their strange fear of rectangles. The might have trimmed all the corners off their books and documents, but they took it even further with the playing cards for Triad, which were just Hexagons! Triad (called Pyramid in the original BSG - Moore accidentally swapped the card game and the basketball-esque game's names around and they stuck), like I mentioned above, really is Space Poker - according to the cast, the producers hadn't come up with rules for the game so they had to improvise playing it, essentially turning it into Poker with different symbolic suits to the cards we're more familiar with. Maybe Triad inspired Earth Poker? I'd love a set of those playing cards though. From Space Poker to Fantasy poker this time, with this game from the first Dragon Age video game. Wicked Grace, a strictly two player game is similar to Poker in that it was about matching cards together for the best hands, but instead of trying to get sequential cards, it was about matching suits together. 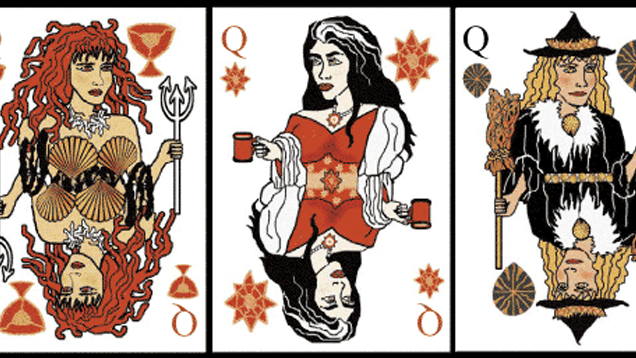 Players start with a 5 card hand and discard and draw cards until the 'Angel of Death' appears in the deck, at which point your hands are revealed - those with the best set of matched suits would win. What was cool about it that Rogue-classed Wardens in the game could learn the Duelist specialisation by besting Captain Isabela at the game - there aren't many Rogues out there who can say they got into sword fighting due to winning a game of cards, are there? This game from the second book in Iain M. Banks' Culture series, was pretty much the ultimate Board Game - an entire Empire was built around it. Azad, named after the Azadian Empire, was a huge game that centred around amassing forces to combat your opponent through smaller games - like Card games and dice games - before playing them on huge 3D boards you could walk around. Players had to progress from the Board of Origin to the Board of Form and finally the Board of Becoming before they could win the game. 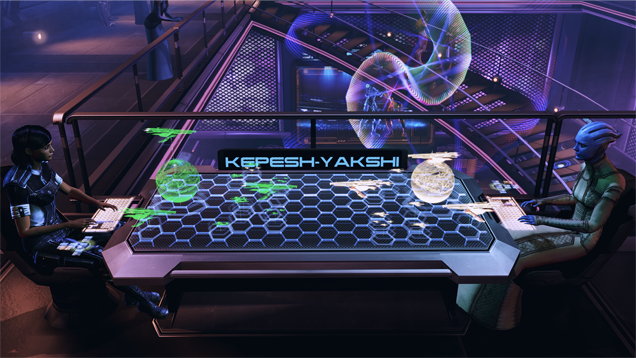 Pieces used in the game to represent units were partially biological, allowing them to change form based on how they were played or for players to interact with them on a deeper level. The game was so important to the Azad that their Emperor was chosen from 12,000 candidates in a huge Azad tournament, their mastery of the game a testament to their ability to lead the Empire. Pretty extreme for a board game - it'd be like running elections based on a game of Mouse Trap! Trust Terry Pratchett to come up with his own absurdly quirky take on card games. Like many of the card games on this list, the fantastically named Cripple Mr. Onion (which first appeared in Wyrd Sisters) is essentially quite similar to Poker, except that players are dealt 10 cards, 5 face up, 5 face down, and must construct a winning set of cards in numerical order - with wonderful names like Triple Onion or a Bagel - or fold. There's several fan-made sets of rules for the game that you can find online, but here's one allegedly approved by the man himself. I've no idea how we've gotten so far through this list without a holographic game showing up yet, but here we are - at least when we've got to one it's a corker. 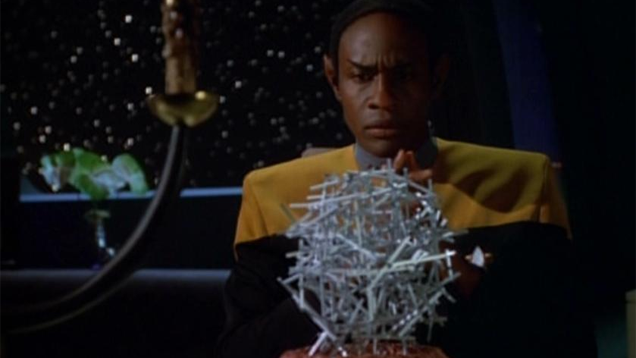 3D space chess that can electrocute your opponent? Count me in. Pai Sho was popular in the multiple Nations of Avatar's world, with each culture having their own rules for the game - which borrowed elements from real world games like Go, Chinese Chequers and Xiangqi - but as with most things in Avatar, it was also a game that taught the importance of Balance. People loooooove themselves some Balance in Avatar. 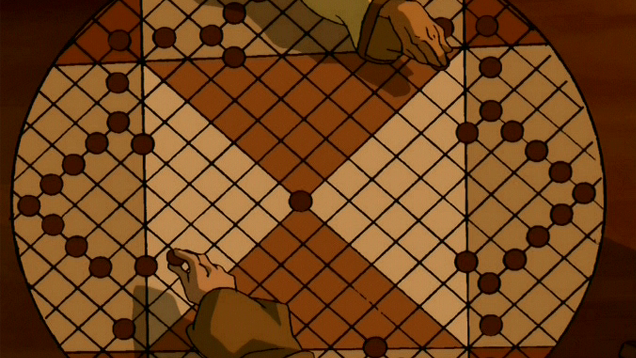 The game itself was also used as a secret code - members of the Order of the White Lotus, a pan-Nation faction that backed the Avatar as well as sought to share knowledge and spirituality across the world would play their Pai Sho pieces in the shape of a White Lotus to identify themselves to other members of the secret society. Just like Trek before it, Star Wars is also home to plenty of awesome games. 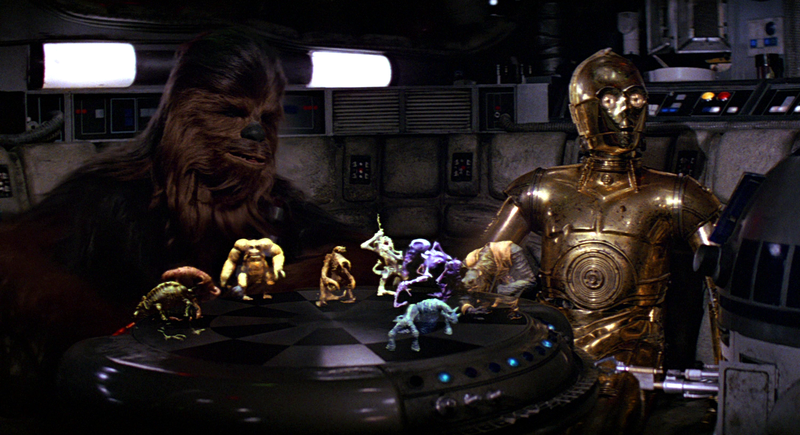 There's card games like Sabacc (how Lando lost the Falcon to Han) and Pazaak, the game from Bioware and Obsidian's Knights of the Old Republic video games, but the ultimate one - and only one we've seen on screen - has to be the holographic chess/combat game R2 and Chewie play in A New Hope: Dejarik. 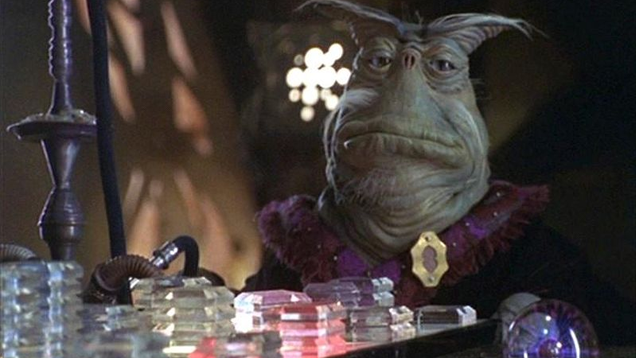 Dejarik pitted holographic representations of real and mythical monsters from the Galaxy Far, Far away against each other in a chess like game of strategy - and I'm amazed that there somehow hasn't been a real version of it (obviously that doesn't use holograms!) amongst the swathes of Star Wars merchandise over the years. I mean, look at it! One piece of advice though - don't challenge a Wookiee to a game. Hailing from Volantis, Cyvasse has yet to show up on the TV show, but maybe when it does HBO will sell their own licensed version! 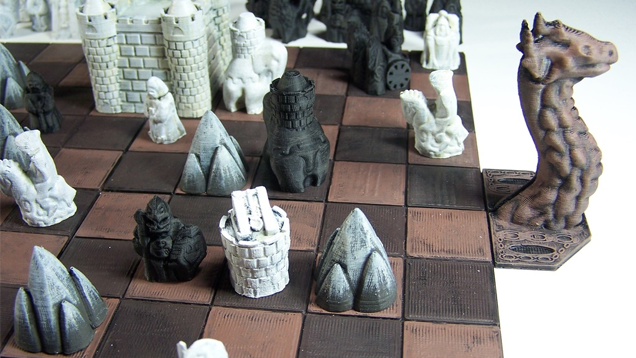 Cyvasse is a chess-like game played on a hexagonal board - Martin has likened it to something like Blitzkrieg or Stratego - where players field 10 unique pieces featuring names like the Knight, the Elephant and the most important piece of the game, the Dragon - in a bid to outsmart their opponent. Unfortunately despite it cropping up in the books multiple times, there aren't really any known rules to the game, so fans have had to make up their own. Cyvasse is popular in Dorne and Essos, so considering the show's heading there in its next season, maybe we'll see it in action there. Final Fantasy has long been home to some great mini-game distractions from your quest to save the world, but none were so fiendishly addictive as Final Fantasy VIII's Triple Triad. Protagonist Squall could challenge virtually anyone in the game's world to a round of Triple Triad, using cards collected from battle and other opponents. The goal was to lay out your selection of cards on the 3x3 grid in such a way that their best 'ranks', the four numbers on the card that represented the value of each facing side, bested your opponents - which would 'flip' the card into your control. Whoever controlled the most cards on the board when it was filled won the match, giving you the right to claim some of your opponents cards to add to your own collection. 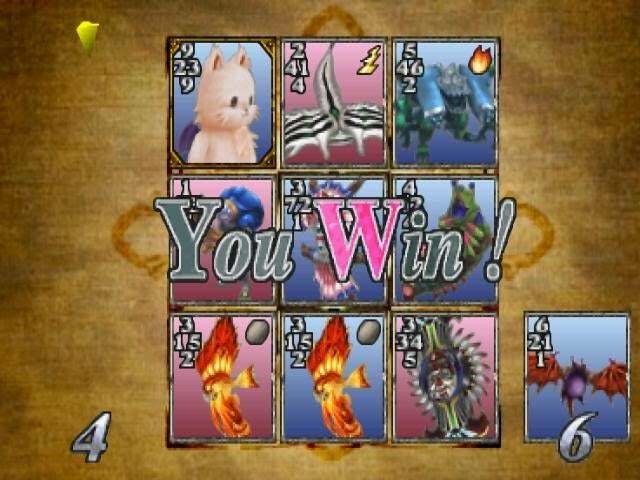 I think I played more Triple Triad than I did the main segment of FFVIII, and considering I've completed that game a good few times, that's a lot of Triple Triad. In a way, Triple Triad did become a real game - only in Japan though. In 1999, Bandai released a set of 110 cards from the game as well as 72 collectors artwork cards and a playing mat as a CCG so fans could try their hand at Triple Triad for real. It was only ever sold in Japan and never in the West though, making it extremely rare. Who knows, maybe there'll be a wider available set when FFVIII celebrates its next big anniversary or something. Get a proof-reader you lazy twats. They also listed patch 5.4. Wasn't that three years ago or something? Given the image used on the title page, I guess they were looking for articles related to Star Trek due to the recent anniversary. Yep. Maybe proof-read before republishing? Check the article is still accurate? Not to mention Triple Triad is now a free to play game on the FF portal app. Is it already playable maybe? I assumed 3D-chess was left out because there are designs online to build a board and rules for how to play it - so it already is a real game. Sabaac is mentioned in the Dejarik section of the article, but looks like they went with Dejarik because Sabaac is never actually shown or explained in the movies - just that it's a card game. From Deep Space Nice. Run Along Home! Anyone remember that game in Star Trek TNG which was holographic and Riker (and later Data) played against some alien strategy expert, the controllers looked like the players were putting their fingers into a milking machine! Why is the best card game on Earth (Gwent, from The Witcher) not listed here? Best part of an incredible game, I still load up the Witcher now and then for a quick game (PC+Debug Console+ "secretgwint" = good times). Because there is a real version of Gwent? Because this article was written before Witcher 3 was released and has been reposted without being updated?